Looks like we’re going to have to update our encyclopedic entry on “diplomacy”! Teachers, scroll down for a short list of key resources in our Teachers’ Toolkit. What are diplomatic relations? Read our encyclopedic entry on “diplomacy” for some help. Diplomatic relations are simply the formal, official ties between nations. This usually includes representatives of different groups discussing such issues as conflict, trade, the environment, technology, or security. A more specific definition of diplomatic relations refers to a relationship between two nations in which they send diplomats to work in each other’s country. 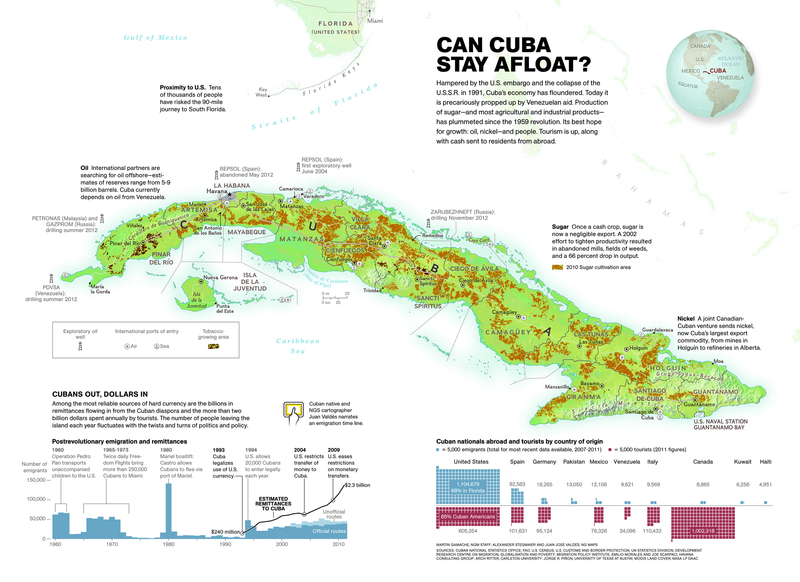 How will President Obama’s announcement change diplomatic relations between the United States and Cuba? The U.S. Department of State will open a U.S. embassy in Havana, Cuba. If the U.S. has not had diplomatic relations with Cuba for more than 50 years, how have American interests been represented in that country? Read our encyclopedic entry on “diplomacy” for some help. The U.S. is currently represented by a branch of the Swiss embassy in Cuba—the United States Interests Section of the Embassy of Switzerland in Havana (USINT Havana). Ambassador Jeffrey DeLaurentis is the chief-of-mission at USINT, which operates out of the former U.S. embassy in Havana. Take a look at the short, easy-to-understand outline from the New York Times. Besides the establishment of formal diplomatic relations, what sector will be most impacted by the new U.S-Cuba relationship? U.S. banks and other financial institutions will be able to open accounts at Cuban banks and financial institutions. Travelers to Cuba will be allowed to use American credit cards and debit cards. United States entities in third countries will be allowed to engage in transactions and meetings with Cuban individuals in third countries. Certain items that support the Cuban private sector will be allowed for export, including certain building materials and agricultural equipment. Certain items that support telecommunications in Cuba will be allowed for export, and companies will be allowed to establish related infrastructure. Licensed American travelers will be able to import $400 worth of goods (including up to $100 in tobacco and alcohol). Part of the announcement includes Secretary of State John Kerry reviewing Cuba’s status as a “state sponsor of terrorism”—nations the U.S. says provide financial and military support for international terrorist organizations. (Cuba has been suspected of supporting the Revolutionary Armed Forces of Colombia (FARC) and the Basque Fatherland and Liberty (ETA).) What other nations are on this list? Does the U.S. have diplomatic relations with any of them? Only three other nations are designated state sponsors of terrorism: Iran, Sudan, and Syria. Although the policies are different and complex, the U.S. does not have full diplomatic relations with Iran, Sudan, or Syria. What does the announcement mean for travel to Cuba? Consult the Times outline for some help. Nat Geo: What is diplomacy?